Walsh wants to build a bridge to Long Island. But will Quincy ever get over it? 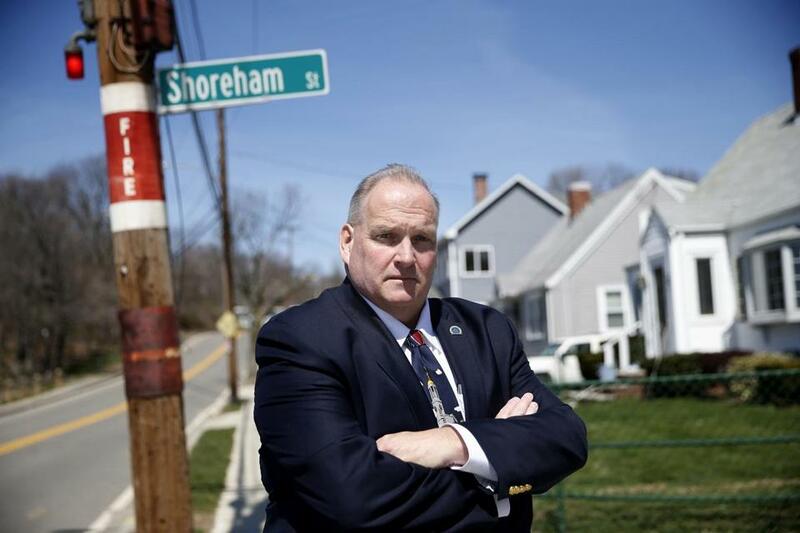 City Councilor William P. Harris represents Squantum, the Quincy neighborhood that leads to the site of the former and potential future bridge to Long Island, where the city of Boston wants to re-open its addiction recovery center. “That’s the business of the mayor of Boston. My business is to protect the neighborhoods of North Quincy, Wollaston, Squantum, and Marina Bay — all of Quincy,” Harris said. Mayor Martin J. Walsh has made rebuilding the Long Island Bridge a signature initiative of his second term. He has extolled the virtues of using the island as a haven for those seeking to recover from addiction. And he has allocated $92 million from the budget to make it happen. There’s one major hurdle standing in Walsh’s way: Officials in Quincy appear ready to do just about anything to stop him. The Quincy City Council is considering a ban on construction vehicles on roadways that lead to the bridge. The councilor who represents Squantum, the neighborhood near the bridge, said he plans to introduce a separate ordinance that would give the council final authority over any permits for bridge construction, which Boston officials may need to move forward. Another councilor suggested the highly unusual move of subpoenaing Walsh to testify before the council. With the backing of Mayor Thomas P. Koch of Quincy and many constituents, the council could very well derail — at least temporarily — Walsh’s quest for what he describes as a “comprehensive, long-term recovery campus” for his city. So far, Walsh has moved forward with the bridge’s restoration, and he is expected to soon release an outline of plans, including specifications for the permitting process. The route to the island goes through Quincy. It’s unclear whether, in the end, Quincy could block a new bridge, or just slow it down with lawsuits. But the disagreement threatens to strain relations at a time when officials in both cities agree they need to address the heroin and opioid abuse epidemic with a regional rehabilitation plan. The question is how, and where? Not if Quincy officials have a say. Long Island is owned by Boston, and for years it housed programs for the homeless and those suffering from addiction. In 2014, officials ordered that the island be evacuated and the bridge destroyed because of structural concerns, forcing the relocation of programs and the hundreds of patients who used them. For years residents of the Squantum neighborhood watched buses and emergency vehicles make their way down Dorchester Street, over a causeway to Moon Island, and from there over the bridge to Long Island. Then the traffic disappeared. Koch, the Quincy mayor, has pledged to legally back whatever action the council takes, saying his city should have a say in any discussion of restoring the bridge because its residents would be most affected. He said he relayed Quincy’s concerns to Walsh just before the Boston mayor announced his plans in his inauguration speech in January. But now, Walsh has allocated funding for the plan, causing Quincy to look at its own options, Koch said. Koch and Harris said they recognize the need for a regional approach to the opioid crisis, but they question if that necessitates the reconstruction of the bridge. Koch questions whether that money could be better spent in other ways. He has also pushed for Boston to consider using ferry service to shuttle patients back and forth from the island, pointing out the city and the state are already looking at ways to expand water transportation services along Quincy’s Marina Bay, as part of new development on the waterfront. Walsh said construction of the bridge could take three years, once the permitting process is completed. The mayor’s spokeswoman did not directly respond to the complaints from Quincy officials. “Mayor Walsh has been clear that his priority is to rebuild the bridge to Long Island in order to create a comprehensive, long-term addiction-recovery campus that spans the continuum of care to help those in Boston and across the entire region,” said Nicole Caravella, a spokeswoman for the city, in a statement. Susan Sullivan, executive director of the Newmarket Business Association in Boston, has cited an influx in homeless and addicted persons in that shopping center following Long Island’s closing. She said the city needs to find somewhere to provide services. She said Long Island would be an ideal place and Quincy officials appear to be taking a “not in my backyard” approach to opposing the restoration of services on Long Island, under the cloak of traffic concerns. She accused Quincy officials of preferring higher-end development for the neighborhood over needed services. Contact Milton J. Valencia at milton.valencia@globe.com.